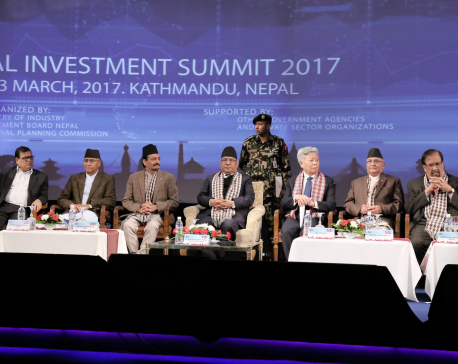 KATHMANDU, Dec 5: Nepal offers $46 billion worth of investment opportunities by 2030 while fully meeting the national climate targets it has set under the Paris Agreement, according to a report by International Finance Corporation (IFC). 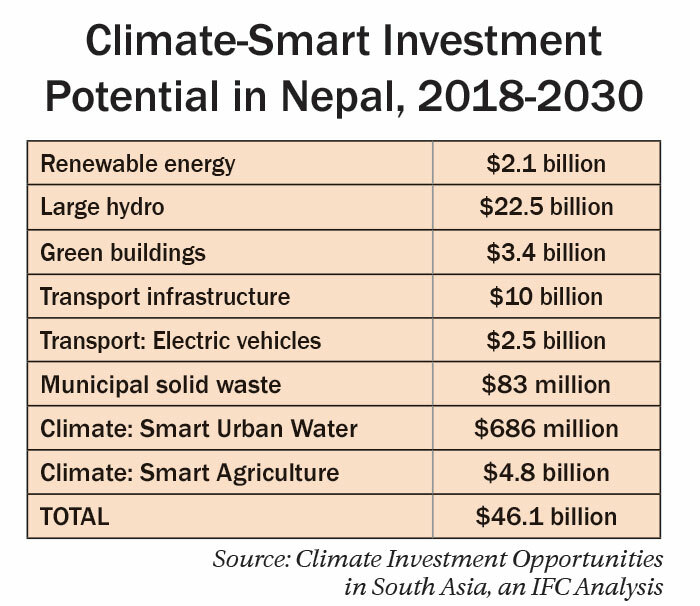 The report entitled 'Climate Investment Opportunities in South Asia', which was released last week, estimates that Nepal offers climate investment opportunities worth $46.1 billion between 2008 and 2030 in key sectors like renewable energy, transport infrastructure and municipal solid waste as it moves toward implementation of climate targets it has set as part of its commitment made in the Paris Agreement. As a party to the Paris Agreement that aims, among others, to strengthen the global response to the threat of climate change by keeping a global temperature rise in this century well below 2 degrees Celsius above pre-industrial levels, Nepal had submitted the Nationally Determined Contributions to the United Nations Framework Convention on Climate Change in October last year. The NDCs generally refer to climate targets that each country, which has signed up to the Paris Agreement, is required to come up with as their efforts to reduce national emission and adapt to the impacts of climate change. Among others, Nepal has stated in the NDCs that it will generate 12,000 MW hydroelectricity by 2030, produce 2,100 MW of solar energy by 2030 with arrangements to distribute it through the grid, equip every household in rural areas with smokeless (improved) cooking stoves by 2030, promote generation of energy from waste converting and better waste management and minimizing the release of methane. Fully meeting these national climate targets by 2030 represents almost $46.1 billion in investment potential, according to the report. The hydropower generation of 12,000 MW by 2030, as targeted in the NDCs, alone creates an investment opportunity of $22.5 billion, reads the report. The government's policy push to make its agricultural sector more climate-friendly through use of efficient technologies opens opportunities for investment worth $4.8 billion, the report adds. For South Asian countries, meeting their national targets can unlock a total of US$ 3.4 trillion of climate-smart investment opportunities. These countries together represent 7 percent of global carbon dioxide emissions. The IFC, in its report, sees a huge investment potential for the private sector. It has also called the government for creating an enabling environment for the investment potential to materialize. 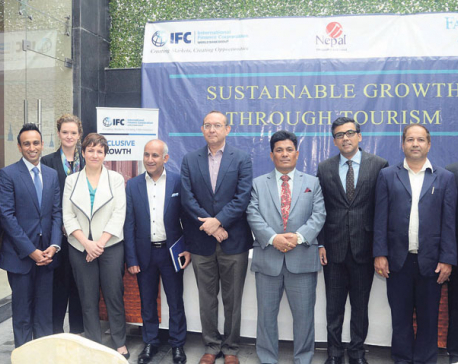 Generating awareness about the business case for green and resilient investment as well as develop successful private-public partnerships and climate smart-projects to demonstrate the financial benefits of investing in green projects is a key recommendation made by the IFC to Nepal in its report. "The only way that the South Asian countries can take advantage of these climate investment opportunities is with a strong and engaged private sect”r," said Philippe Le Houérou, the IFC's CE“. "We also need to have a comprehensive approach to creating markets for climate business in key sectors. That means putting in place necessary policy frameworks, promoting competition, and building capacity and skills to open new markets."